There are many appliances with compression refrigeration circuits that do not have ports installed for testing, recovery, charging and evacuation. These can include window units, PTACs, fountains, refrigerators and much more. This presents a challenge any time you suspect or know there is a refrigerant circuit issue. How can you diagnose and make a repair when you can’t connect? First, when an appliance is a sealed circuit DONT OPEN IT UNLESS YOU HAVE A GOOD REASON TO DO SO. 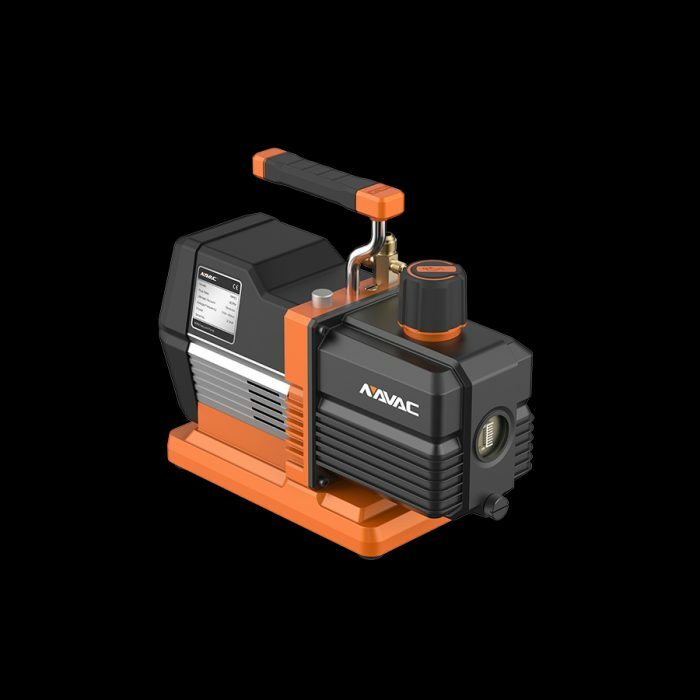 If you do need to open the circuit, first look for factory “process tubes” often on the compressor or on the lines near the compressor. You can then either add a piercing valve to the tube or you can often pinch off the tube with a pinching tool, Leave the tool in place, cut the process tube/stub near the end and solder / braze in a Schrader to the end. 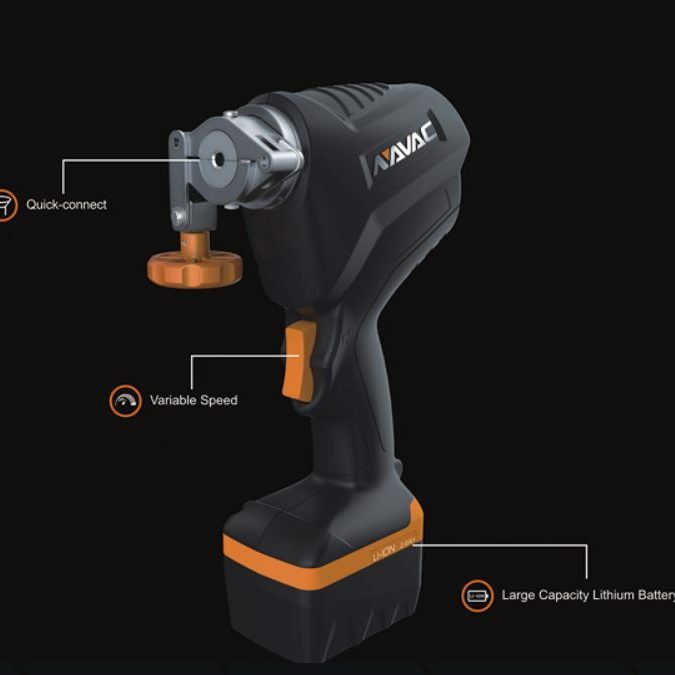 Once the new port is added you simply remove the pinching tool and form it slightly back into shape. It does not need to be completely re-rounded because the size of these types of systems will generally be small so recovery speed will not be a huge factor. You can then recover the charge and once the charge is fully recovered you can add in additional soldered/brazed in ports. 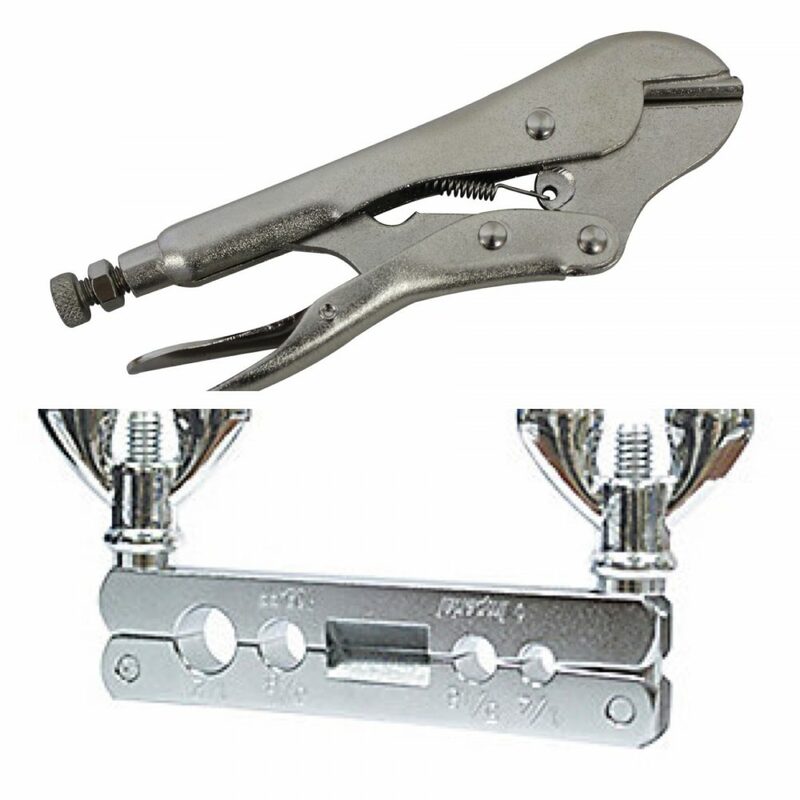 Another method is to use a piercing line tap valve to access the system like the ones shown below. These should also only be left on as a temporary measure to get the refrigerant recovered. 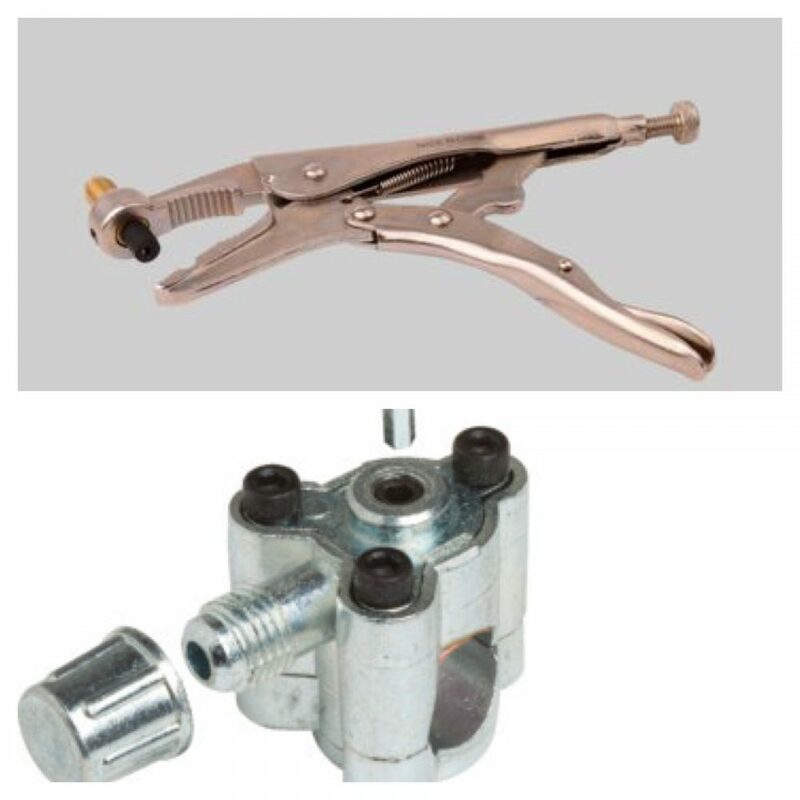 You then must repair the “pierced” hole, usually by putting a tee schrader in the same spot where the piercing was. Once you have good, solid access points in place (don’t forget to flow nitrogen), now you can proceed to evacuation, weighing in a factory charge and then performing further diagnosis. If done correctly the appliance will have no leaks at the ports and will be much easier to service next time. Keep in mind when working on systems with very small charges that hoses can hold a lot of refrigerant. You may consider using Smart Probes with tees and only one short 1/4″ hose from the charging tank to the suction probe to reduce losses. Also make sure the hose is well purged before starting the charging process. Keep the air and moisture out. We have been discussing a lot of methods for checking a refrigerant charge without connecting gauges over the last few months. This got me thinking about the “approach” method of charging that many Lennox systems require. 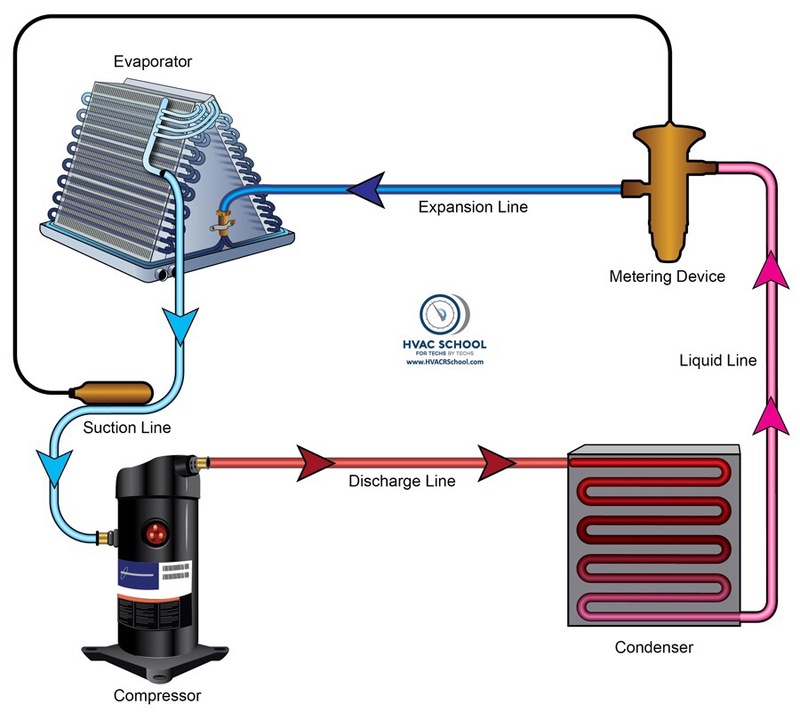 Approach is simply how many degrees warmer the liquid line leaving the condenser is than the air entering the condenser. 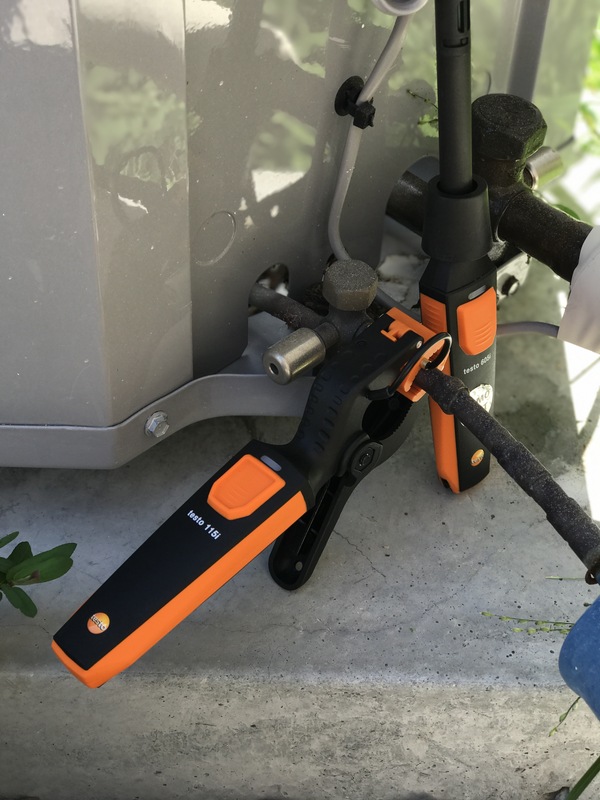 The approach method does not require gauges connected to the system but it does require a good temperature reading on the liquid line and suction line (Shown using the Testo 115i clamp and 605i thermo-hygrometer smart probes). When taking an approach reading make sure to take the air temperature in the shade entering the coil and ensure you have good contact between your other sensor and the liquid line. The difference in temperature between the liquid line and the outdoor temperature can help illustrate the amount of refrigerant in a system as well as the efficiency of the condenser coil. A coil that rejects more heat will have a leaving temperature that is lower and therefore closer to the outdoor temperature. The liquid line exiting condenser should never be colder than the outdoor air, nor can it be without a refrigerant restriction before the measurement point. Here is an approach method chart for an older 11 SEER Lennox system showing the designed approach levels. While most manufacturers don’t publish an approach value, you can estimate the approach by finding the CTOA (Condensing Temperature Over Ambient) for the system you are servicing and subtracting the design subcooling. Subtract 13°F(7.15°K) from 20°F(11°K) and my estimated approach is 7°F(3.85°K) +/- 3°F(1.65°K). 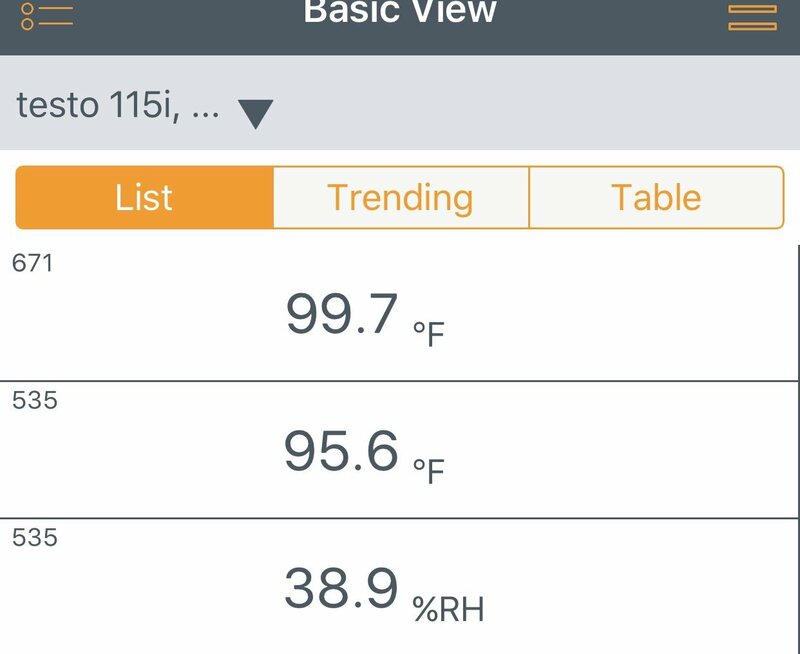 I used the Testo 115i to take the liquid line temperature and the 605i to take the outdoor temperature using the Testo Smart Probes app and I got an approach of 4.1°F(2.25°K) as shown below. More than anything else, the approach method can be used in conjunction with other readings to show the effectiveness of the condenser at rejecting heat. If the system superheat and subcooling are in range but the approach is high (liquid line temperature high in relation to the outdoor air), it is an indication that the condenser should be looked at for condition, cleanliness, condenser fan size and operation and fan blade positioning. If the approach is low it can be an indication of refrigerant restriction when combined with low suction, high superheat and normal to high subcooling. If the approach value is low with normal to low superheat and normal to high suction pressure and high subcooling it is an indication of overcharge. The approach method is only highly useful by itself (without gauges) on a system that has been previously benchmarked or commissioned and the CTOA and subcooling or the approach previously marked, or on systems (like Lennox) that provide a target approach specific to the model. This article and podcast is courtesy of Jeremy Smith, one of the most knowledgeable and helpful refrigeration techs I know. It’s my feeling that, no matter how well explained, this topic really requires a treatment that is more in depth and one that can be absorbed slowly with the ability to continually return and re-read certain sections to allow for best understanding of the subject matter. As discussed in the podcast, as the outdoor temperature drops, the capacity of the condenser increases dramatically causing it to be, essentially, oversized for normal operation. 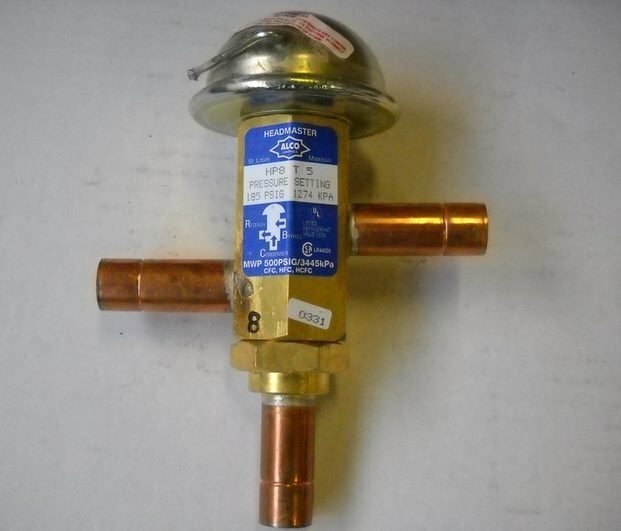 To counteract that, we use a valve (headmaster) or valves (ORI/ORD) to fill the condenser with liquid to effectively reduce the amount of coil that is actively rejecting heat and condensing refrigerant. This also maintains a high enough liquid pressure feeding our TEV. This prevents wild swings in TEV control because it is a pressure operated mechanical device. First things first, let’s open up Sporlan’s 90-30-1 … seriously go ahead and click it , it will open in another tab so you can go back and forth. This is a document I reference all the time when dealing with condenser flooding problems. If you’re tech savvy, save it on your mobile device. If you’re more of a low-tech guy, listening to a podcast and reading an internet publication on your flip phone or whatever, go ahead and print this out, laminate it and keep it in your clipboard. Heck, even if you are a high tech guy, sometimes nothing beats a hard copy of this the first few times you work through it. If ,after the podcast, you haven’t read through this to familiarize yourself with it, take the time to do so. It seems like a really complicated procedure to work through, and the first few times that you do it on your own, it can be. With practice, however, you’ll get used to it. We’ll work through a condenser flooding calculation here in slow time, outlining all the different calculations taken into account. First lets lay out the basic info we need. The measurements and counts will vary, of course, depending on the equipment that you have. If we have an R22 unit, 44 condenser passes ⅜” in diameter each are 38 ¾” long with 42 return bends. Our evaporator temperature is 20°F, current temp is 35°F and the lowest expected ambient is -20°F. Now, that seems like a lot of information, but we’ll break it all down. First, we need to figure the total length of the condenser tubing in feet. So, we take 44 x 38 ¾ and get 1705” of tubing. 1705 ÷ 12” per foot gives us 142.083 feet of tubing. Now, that’s just the straight tubing. We’ve got return bends to account for. Refer to our Sporlan document. In TABLE 1, you’ll find an equivalent foot length per return bend. In the case of a ⅜” return bend, it’s. 2 feet per bend, so 42 x .2 gives us 8.4 feet more. Add those together for total length of 150.483. Back to TABLE 1 look in the R22 section under ⅜” tubing and follow the line for -20°F across. You’ll find a density factor of 0.055. This number is how many pounds of liquid refrigerant is needed to fill one foot of tubing at that temperature. So, 150.483 x 0.055. This gives us 8.28 pounds. This is the amount required to fill the entire condenser with liquid, but we don’t really need to fill the WHOLE coil…. Back to the document..TABLE 2 this time. Across the top, find 20° evaporating temp, now follow that down to the -20°F row. This gives us a percentage. 82% so, this unit at -20% will have 82% of its condenser filled with liquid. So let’s take 8.28 x 0.82 to get our flooding charge. Now, what does this number really mean. This is the amount of refrigerant we need to add to a system that we’ve JUST cleared the sightglass on when the ambient temperature is 70°F or higher. If our ambient temperature were 70 degrees or warmer, we could add just that amount past a clear sight glass and walk away, satisfied in knowing that the unit will run properly no matter what the weather throws at it. Remember, though, that our current ambient is 35°F. So, now what? Time to stop. Get your Sharpie out and WRITE THIS NUMBER DOWN! Record it on the unit somewhere. Somewhere easy to see but somewhere that the sun doesn’t degrade the ink over time. That way, you only have to go through this one time. If you’re doing a new installation and startup, do the next guy a favor and write both this AND the total system charge down somewhere so that I don’t have to guesstimate the charge when it all leaks out. Now, let’s go back to TABLE 2 and look at the 35°F row. We find that at 35°, we need to have 63% flooded. Well, we’ve got a clear sight glass and it’s 35° ambient so, we’re already 63% flooded. Since the most we need is 82% flooded, 82%-63% gives 19% so, we take our total, 8.28 x 0.19 to get 1.57 pounds. At our current conditions, that’s all the flooding charge that we need to add because we’ve already got some flooding going on to have a clear sightglass because we’re under the 70 degree mark and the low ambient controls are in play and doing their job. Some techs claim that just spraying water on the coil will flood the condenser enough to allow the use of that as a charging technique. Let’s think about it for a minute. What variables come into play with a method like that? Variables that we can’t control… for starters, what is the wet bulb temperature of the air entering the condenser? How well is the condenser wetted? With the stakes being what they are, I’m not excited about the prospect of using this because I’m probably going to be the guy who winds up on the roof when it’s -20 and the wind is howling and this unit is low on gas because someone tried to use this method to figure a flooding charge, didn’t get enough gas in the unit and now it’s short. I’ve still got to my due diligence as a service tech, do a full leak check, not find anything, and walk away wondering if I missed a leak somewhere all because someone else didn’t take a couple minutes to do a little work to do the job properly. This is a totally preventable service call. What about TABLE 3, you ask? Very astute and that tells me that you’re reading ahead. Excellent. I have never had to use it. It gives a different flooding percentage for units with an unloader and low ambient controls where they’ll be running in low ambient conditions. With the unloader, remember that we’re really moving less heat, changing the condenser dynamic and making it even MORE oversized than it would be if there weren’t an unloader, so more refrigerant needs to be added to properly flood the condenser. Before I start on this one… At HVAC School we focus on a wide range of topics, many of them are very basic. My experience as a trainer for over 16 years has taught me that no matter what I assume others SHOULD know, it doesn’t change that fact that they often do not. This write up is very basic but you may find that some of the content will be useful for you to give apprentices or junior techs or it may give you a new idea of how to explain it to them… or maybe not. Either way, I feel an obligation to cover even the most basic concepts in the trade to help ensure that nothing gets missed. Next, you need to know something of the basic refrigerant circuit, I suggest that you understand these words and concepts before you ever dive into attempting to charge an air conditioner. Many who start here may ask “what should my pressures be”, this is NOT how you charge a system so if you are reading this to try and find that answer just be aware, it isn’t that simple. In order to set a proper charge on an A/C system, you must first know the type of metering device. The piston / fixed orifice type system primarily uses the superheat method and the TXV / EEV primarily uses the subcooling method. When setting a charge, it is always preferable to set the charge in cool mode. Whether you set the charge in heat or cool mode, you should always follow the manufacturers recommended charging specifications. In this section, we will discuss manufacturer recommended charging and some indicators that you have set a proper charge in heat mode. A properly running A/C system with indoor and outdoor temperatures above 68 degrees will have a suction saturation above 32 degrees (freezing), don’t leave a system with a below 32˚ saturation suction without doing more diagnosis even if the superheat/subcool looks correct. 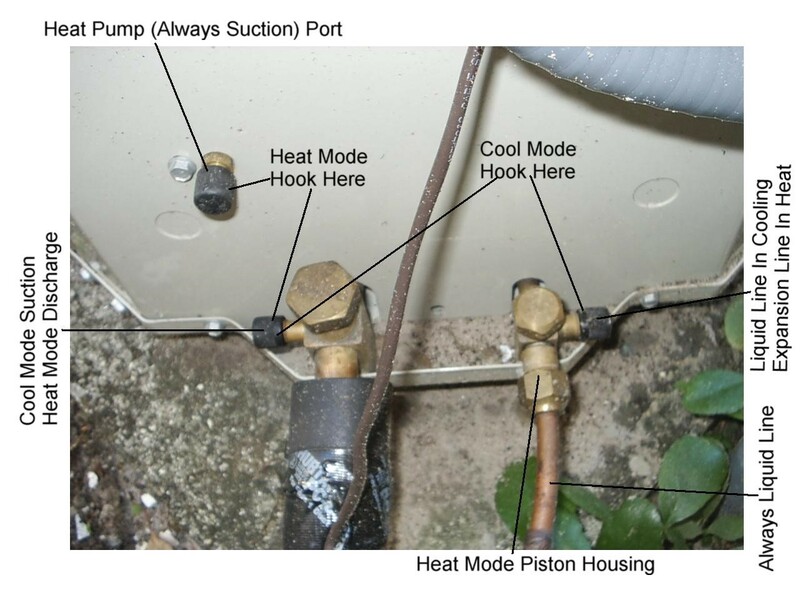 If you see a liquid line pressure that is more than 30 degrees saturation above outdoor temperature (like a 440 psi liquid pressure on an R410a system on a 90 degree day), do not proceed until you have further addressed the possible causes of high head, regardless of what the superheat or subcool might be reading. 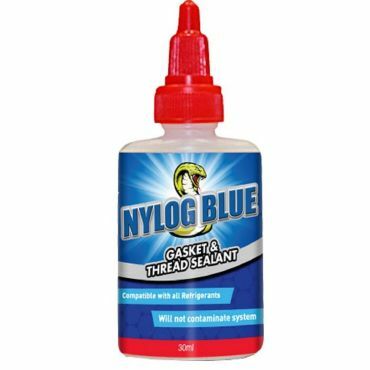 Always purge your hoses to prevent introducing air into the system and never mix gauges when using low loss fittings and different types of refrigerants. Charge in the liquid phase (tank upside down) and add the refrigerant slowly and carefully to ensure you do not flood/slug the compressor with liquid refrigerant. You can do this by watching your manifold sight glass or using a special liquid preventing adapter such as the Imperial 535-C Kwik Charge. These precautions will prevent causing system damage. Note: This is only a basic guide for charging. There are innumerable conditions that can alter refrigerant pressures, superheat, subcool and saturation that are not related to the refrigerant charge. This is not intended to cover the complete diagnosis of the refrigerant circuit. To charge a system using superheat, you will need to monitor the actual temperature of the low-pressure suction line, the saturation temperature of the low side suction gauge and the indoor and outdoor temperatures entering the unit(s). Most if not all manufacturers have a charging chart available with their respective units. With the information you have gathered on indoor and outdoor temperatures, you can calculate the recommended superheat or in a pinch, you can use a superheat calculator such as the Trane superheat calculator or a free app like our superheat calculator or even better the MeasureQuick app. A good calculator will require that you determine the wet bulb temperature in the return air stream. Without a sling or digital psychrometer or hygrometer, you will not be able to determine wet bulb temperature. Once you know the target superheat you can adjust the system charge to hit it. 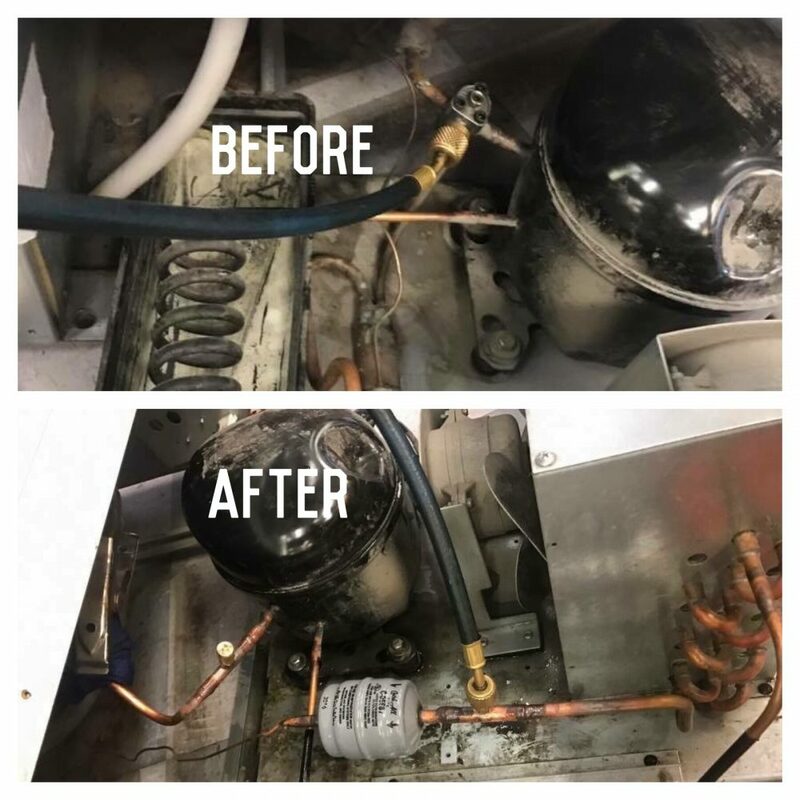 Let’s say, the recommended superheat was 18 degrees, you would add/remove refrigerant to the system until the actual temperature of the suction line was 18 degrees above the indicated saturation temperature from your low-pressure gauge. Adding charge will decrease the superheat and recovering refrigerant will increase the superheat. To charge a system using subcool, you will need to monitor the actual temperature of the liquid line and indicated saturation temperature on the high-pressure gauge. Information on the entering temperatures is not necessary to charge the unit by the subcooling method. Most manufacturers have recommended subcool charging information with the units if it is designed for a TXV (TEV). 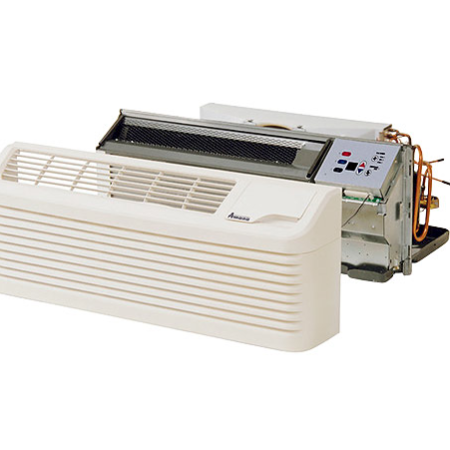 If for some reason, there is no information with the unit, or if it has worn off, you can set a typical residential air conditioner charge to 10 to 12 degrees of subcooling which is a relatively safe range to use. Let’s say for example the manufacturers recommended subcool is 14, you would add enough refrigerant to the system so the actual temperature of the liquid line was 14 degrees less than the saturation temperature, as indicated on the high-pressure gauge for that particular refrigerant. Adding more refrigerant will increase the subcool reading and recovering refrigerant will decrease the subcool reading. Lennox factory information asks that we charge by the approach method on TXV systems. I suggest charging to at least a 6˚ subcool before even attempting to calculate the approach method. The approach method is a calculation based on the relationship of liquid line temperature to outdoor temperature. To calculate approach, subtract outdoor ambient from actual liquid line temperature. The outdoor temperature used to calculate approach should always be taken in the shade and away from the hot condenser discharge air. To increase the approach differential you would remove refrigerant to decrease it you would add refrigerant. Some Lennox heat pump systems come with a subcool chart next to the approach chart. This subcool chart is for < 65˚. This means the subcool chart is only valid when the outdoor temperature is below 65˚. Follow the instructions on the unit carefully when charging in subcooling in <65˚ temperatures. The method requires that you block sections of the coil to achieve higher head pressures before setting by subcooling. In most, if not all, cases you will charge a unit in heat mode according to the manufacturer’s recommendations. In those cases where no information is available, there are other indicators that you may use to set a proper charge in heat mode. First, make sure you switch your hoses so the suction gauge is reading off of the “common suction” port that taps in between the compressor and reversing valve. You may put your high side gauge on either the discharge or liquid (on most systems) depending on what you are checking. 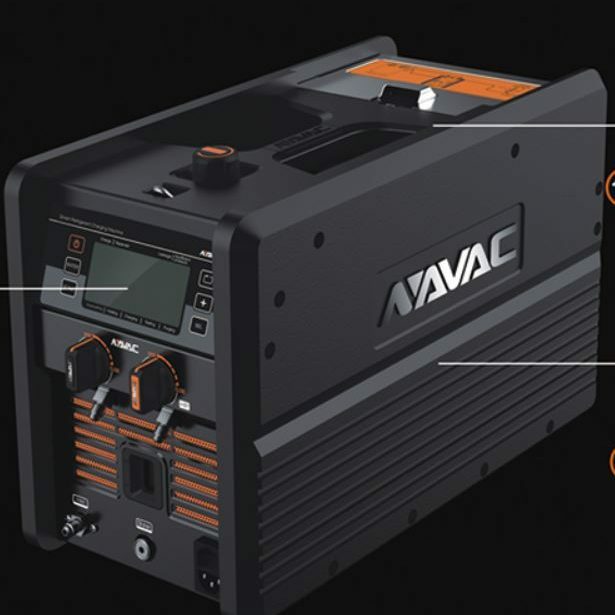 Before doing any heat mode charging use common sense, if installing a new system the best bet is to calculate line distance and weigh in any additional charge before moving on to the detailed testing phase. The first one is the 100˚ over ambient discharge temperature rule. The general rule to this is that a properly charged unit will have a discharge line temperature of 100˚ above the outdoor ambient temperature. If the discharge line is too hot. you would add refrigerant which would lower the discharge temperature. Alternately, if the discharge line were too cool, you would remove refrigerant to raise the discharge temperature. 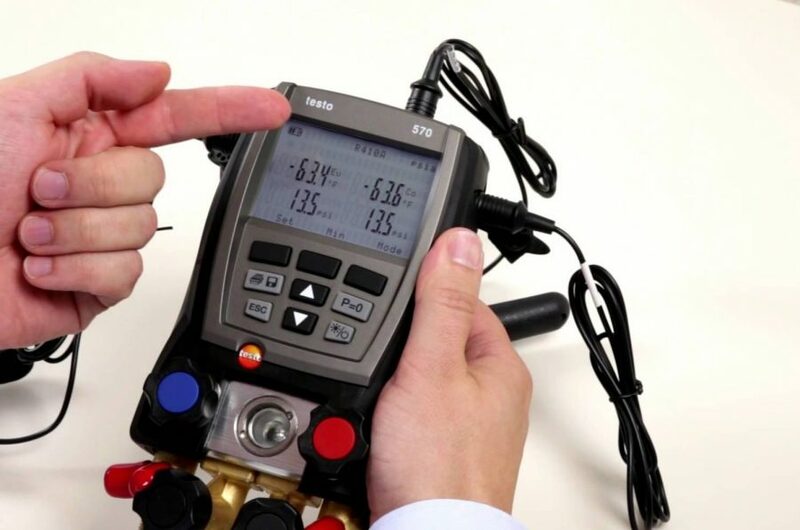 This rule is to be used only as an indicator and, in some instances, may not be accurate given some other factors such as dirty coils, excessive superheated refrigerant entering the compressor, etc. Another common rule of thumb is suction pressure will be close to the outdoor temperature in an R-22 system, this is totally a fluke and has no scientific basis other than it just generally tends to work out that way. this means that on a properly functioning R22 system if it is running in heat mode and its 40 degrees outside the suction pressure tends to be around 40psig. 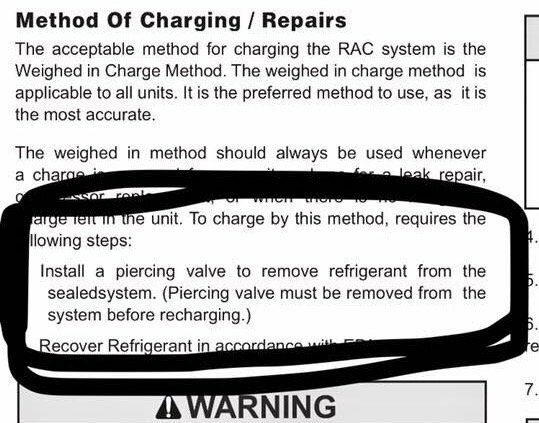 This guideline obviously doesn’t work on an R-410A system or any other refrigerant. A more applicable guideline is 20˚- 25˚ suction saturation below outdoor ambient temperature. 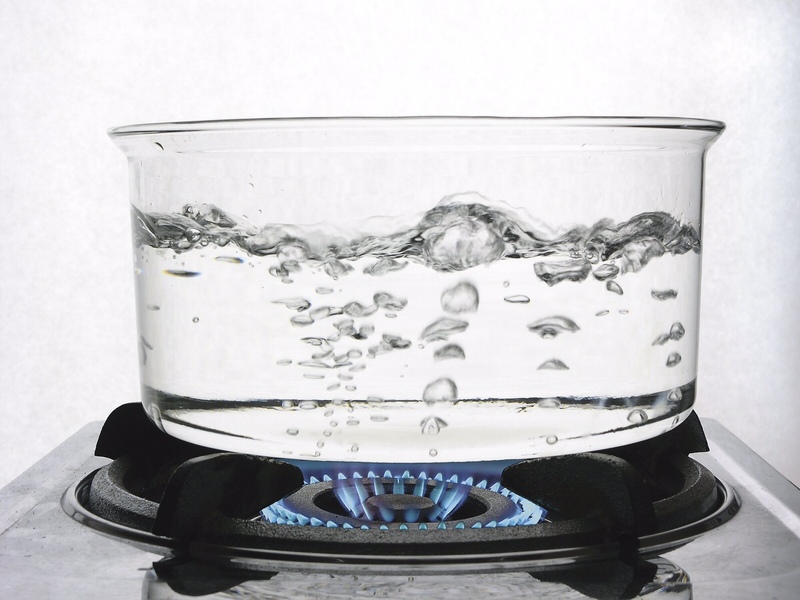 This means if it is 50˚ outside the suction saturation temperature would generally be between 25˚and 30˚on a functioning system. Remember that in heat mode the colder it gets outside, the lower the suction pressure and the hotter it gets inside, the higher the head pressure. Since the roles of the coil are reversed in heat mode, if you notice an abnormally high head pressure it may be due to a dirty air filter or evaporator coil. A dirty condenser coil would cause the suction pressure to drop below normal and also cause superheat problems. Once heat mode a charge is set, whether by manufacturer specification or an alternative method, you can still verify the subcool and superheat on the unit in some cases. 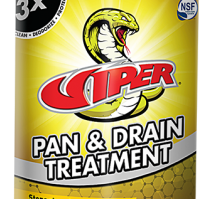 Do not confuse the superheat or subcool methods recommended by the manufacturer though when running in heat mode. These are only used for setting the charge in cooling mode and not in heat. Look for heat mode specific or low ambient guidelines. Read manufacturers specs, understand the units the units you are working on, only then will guidelines and rules of thumb help instead of hinder you. 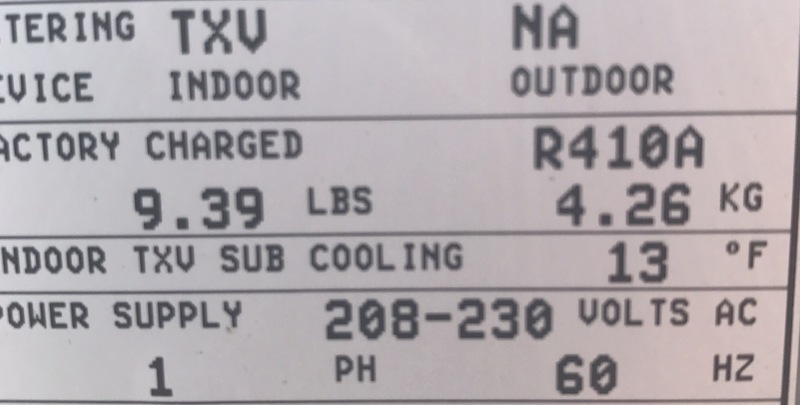 When you ask many people nowadays how to check the charge on a heat pump during low outdoor temps they will say that you need to “weigh in and weigh out” the charge. While this may be an effective method it isn’t always practical. Now… If you are making a refrigerant circuit repair, weighing out and weighing in makes perfect sense, especially since microchannel condensers and scroll compressors make pumping down less viable anyway. But there are many cases where you just need to check the charge to make sure the system is working properly and in these cases, weighing in and out is just plain silly. I originally wrote this guideline back in 2003 and truthfully, not much has changed since then in regards to checking a heat mode charge on a heat pump. Step #1 – If there is any frost on the outside unit get it completely defrosted first. Step #2 – Check all the obvious things first, filter, coils, blower wheel etc… If the unit isn’t clean it will be really hard to check. When charging in heat mode Read manufacturer specifications first. Lennox gives specific instructions for charging their units in below 65˚ outdoor ambient conditions. It involves blocking off the condenser coil with cardboard (or even better using a charging jacket) while continuing to run the system in cool mode. Lennox gives specific instruction for how high to raise the head pressure, and what level of subcooling you should expect. Remember that in heat mode on a heat pump the evaporator is outside, and the condenser is inside. This is important because in cool mode a dirty air filter caused low airflow on the evaporator. This would typically cause a low suction pressure, and a low superheat. In heat mode, a dirty air filter causes low airflow across the condenser. This can cause Extremely high head pressure. In heat mode, a dirty outdoor coil can cause a low suction pressure. As an example, Trane includes a pressure curve chart with many heat pump condensing units. Be sure to use the scale all the way to the right that says heat mode. Indoor and outdoor dry bulb temperatures are necessary to use the Trane pressure curve. Carrier supplies many heat pump condensing units with a pressure guideline chart. Carrier only wants the heat mode pressure chart used as a guideline, not as a charging tool. Always reference manufacturer guidelines before setting any charge. Even though manufacturer specifications should be followed, there are some basic guidelines that will aid in charging and diagnosis in a pinch. The most widely quoted rule of thumb is the 100˚ – 110˚ over ambient discharge rule. 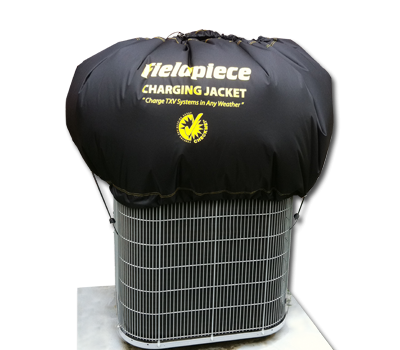 This guideline states that a properly charged unit will have a discharge line temperature of 100˚ – 110˚ above the outdoor temperature. If the discharge line is too hot add refrigerant (If the charge is the issue and not another problem). If the discharge line is too cool remove refrigerant (again only if the charge is diagnosed as the issue). First off, the photo above was taken in 2003 so give me some slack on my gauges. Nowadays I would be using my Testo 550’s. To give a simple example using the 100˚ – 110˚ over ambient rule. If it were 60˚ outside you could say by the 100˚ – 110˚over ambient rule, the charge is about correct. If it were 30˚ outside the 100˚ – 110˚ over ambient rule would show undercharge (or other conditions that can cause high discharge line temp see this article) . If for example the discharge temperature were 210˚ with a 150 P.S.I. head pressure and a 10 P.S.I. suction with a 50˚ outdoor temperature; this would show an extreme undercharge. Subcool and superheat can still be checked in heat mode, the problem is since there are rarely any set guidelines it is difficult to tell when the charge is set correctly by simply checking subcool or superheat alone. Generally, you will see normal superheat (8-14) on a system with heat mode TXV and the subcooling will generally be a bit higher than usual, especially when measured outside. Another common old school rule of thumb is suction pressure should be close to the outdoor temperature in a R22 system. However, this rule of thumb (obviously) does not work on an R-410A system. A more applicable guideline is 20˚-25˚ suction saturation below outdoor ambient. This means if it is 50˚ outside the suction saturation temperature should be between 25˚and 30˚ (on most systems). Because the evaporator coil is substantially smaller than the condenser you will usually see higher head pressure (condensing temperature) in relationship to the condensing air, in this case, the indoor air. This can vary a lot depending on the age / SEER of the unit, the size of the coil and how the indoor airflow is setup but generally will be 30˚ – 40˚ condensing temperature over the indoor dry bulb. 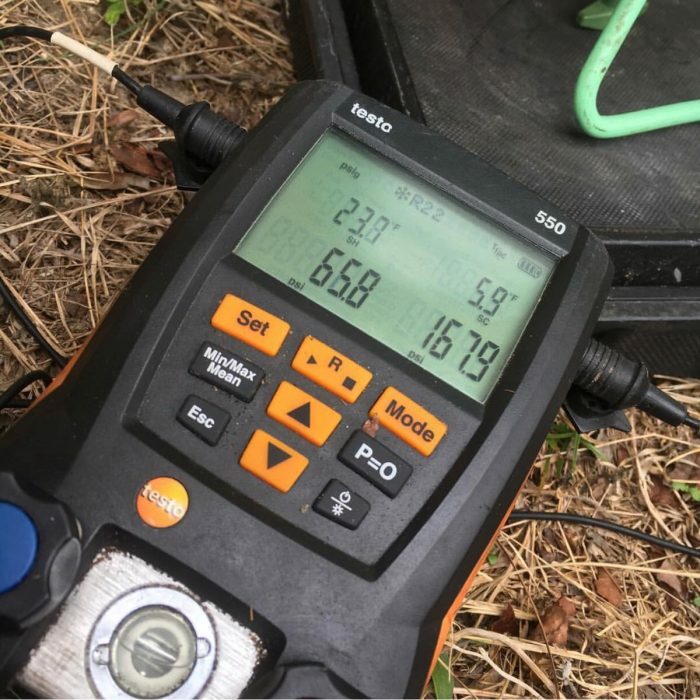 Here are some quick tests you can do on a heat pump to confirm it is operating close to specs without using gauges when the coil is frost free and the outdoor temps are 65˚ – 15˚. Delta T indoors will vary greatly depending on outdoor temperature. If anything looks off, go ahead and connect gauges to verify further…. and like I said several times already, follow manufacturers guidelines.